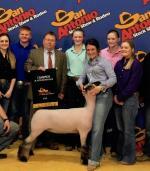 Kambrie Hogue Wins Breeding Ewe Champion at San Antonio Stock Show! 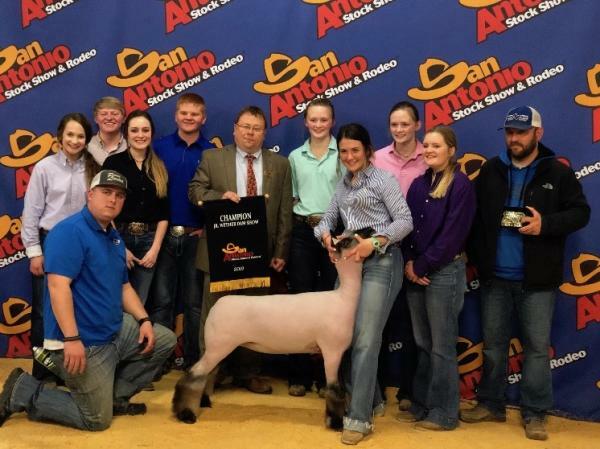 Celeste FFA member Kambrie Hogue showed her wether dam at the San Antonio Livestock Show and was selected Overall Grand Champion wether dam breeding ewe. 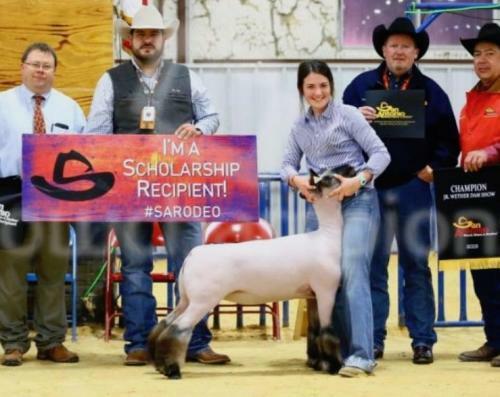 Not only did she receive a banner and buckle, but she is also the recipient of a $10,000 exhibitor scholarship! Congratulations to Kambrie and her family!